Anyone would consider his own house his castle. We all want to own a beautiful home in a great atmosphere. It gives us a new life after feeling tired from work or being stressed. 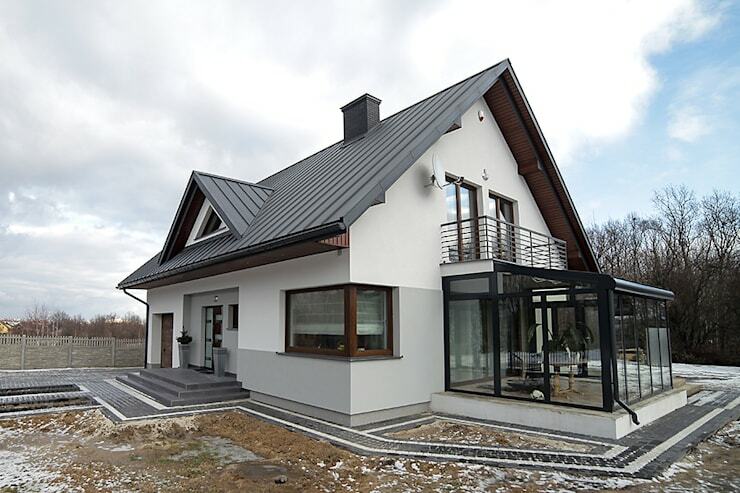 Today, we have ideas for people who want to build a home but they do not have guidelines on what to do or how to start. This was designed by the architects at BIURO PROJEKTOWE MTM STYL. The idea was to make it look stylish, cool, and relaxed with white and grey tones. The concept also includes blending in with the nature surrounding it. The windows and door were also used to add beauty to the house. They open for air ventilation and to have a view from the inside. 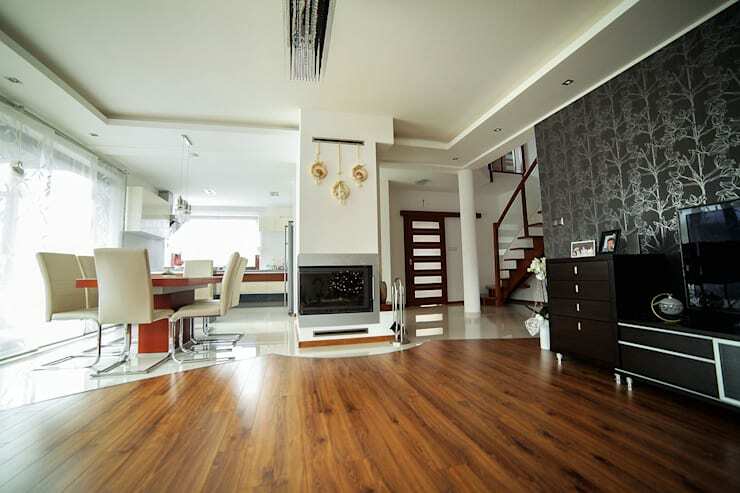 The tone is one factor that can change the atmosphere of the house. It can create a beautiful and incredibly emotional mood. The living room has a warm color theme of brown and beige, while the kitchen's color is white creating space and continuity. You can see that there is a shift on the floor to differentiate between the two functions clearly. The kitchen and dining have beige tiles. The living room, on the other hand, gives a dimension to play with as seen on the walls and black furniture. Now, that's a good balance of warm and cool colors. For the furniture, we see that beige combine well with the warmth of wood. The matching chairs also gives it a modern style. 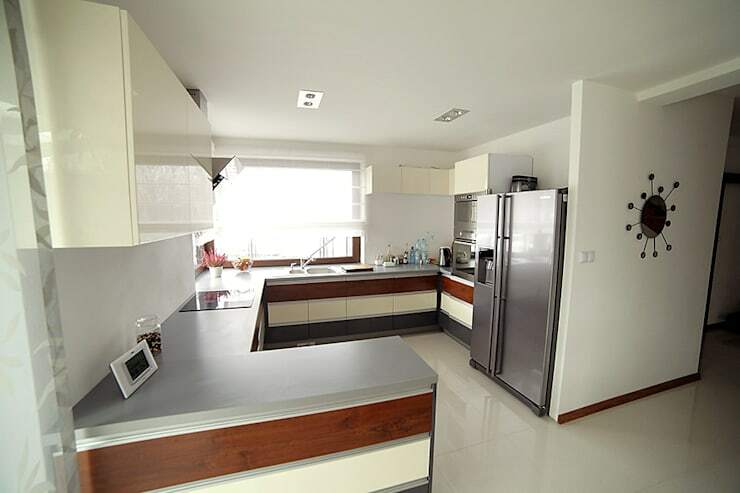 An important feature of the house is the connecting area between the kitchen and the living room, which is convenient and flexible. The kitchen layout is G-shaped. There are useful counters on three sides so it gives added functionality. You can use one counter for preparation and another for eating small meals. In addition, the sink is designed with large windows to allow ventilation and light. 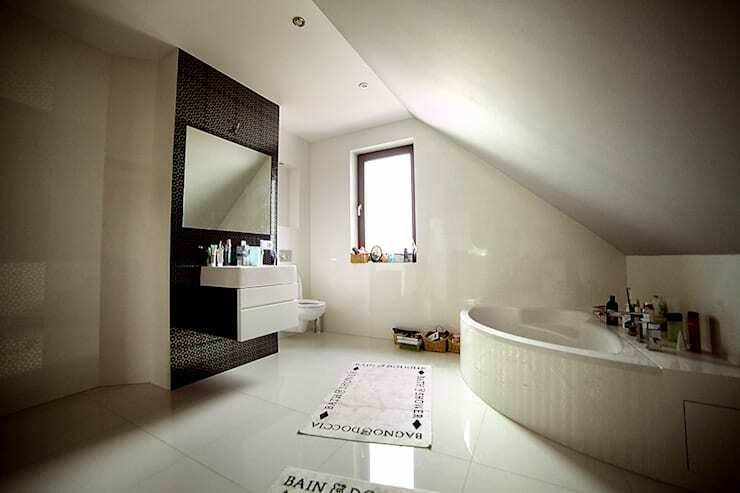 To make the bathroom look larger than it is, consider the design, color, and layout. The bathroom's color is beige to blend in with other areas of the home. The color also creates a sense of relaxation. 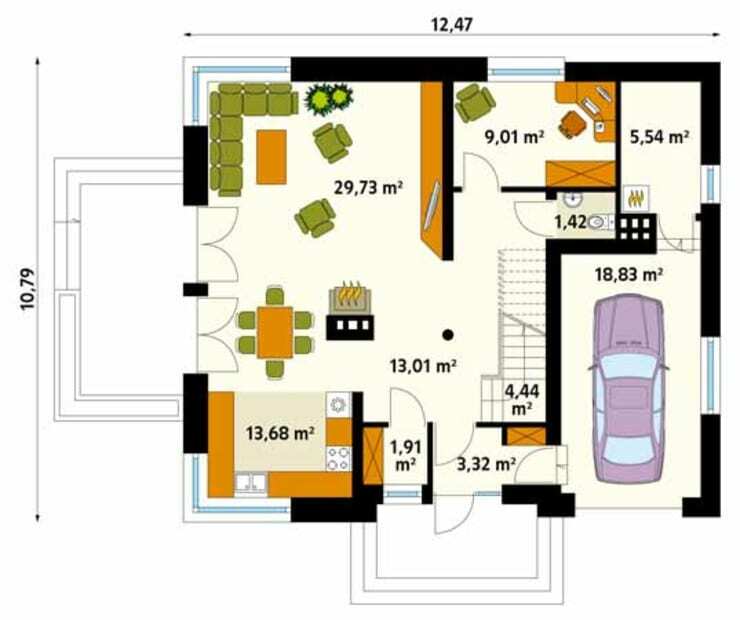 If you look at the floor plan, it is evident that the functionality of each room is open to all. 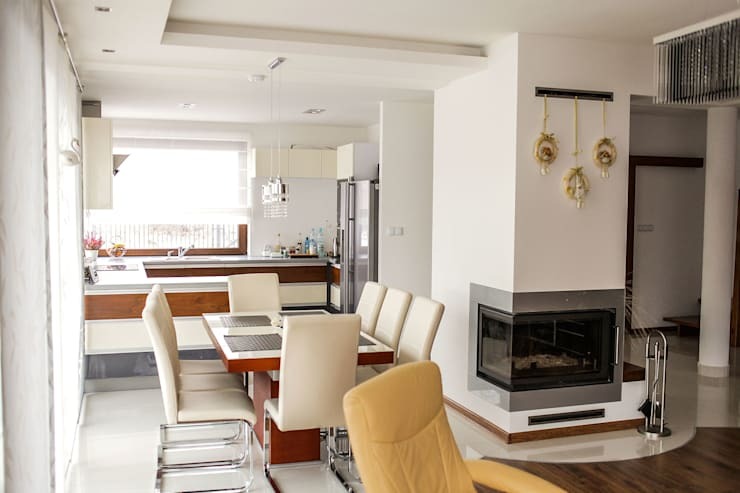 The kitchen and the living room may be designed to look the same, but the area is decorated with different materials that would make it more beautiful and not look cramped. 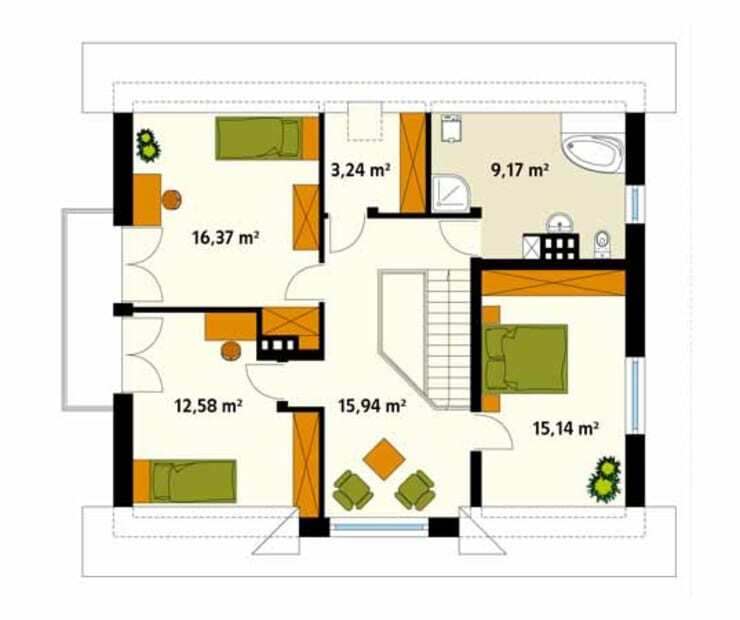 The upper floor consists of three bedrooms, storage room, hallway, bathroom, and toilet. Each room is designed to provide a wide range of home ownership experience.